An exploration of the ‘common vision” of human nature and human unfoldment from birth through 21 years of age articulated by three of the 20th century’s most profound spiritual teachers: Rudolf Steiner, Sri Aurobindo Ghose, and Hazrat Inayat Khan. Practical insights for parents and teachers who want to nurture the holistic potential of children and teens, and examples of educational environments based on the insights of each spiritual teacher that serve to educate the whole child and teen. Clear guidance for evolutionary parenting and education focused on unfolding the consciousness of each person. 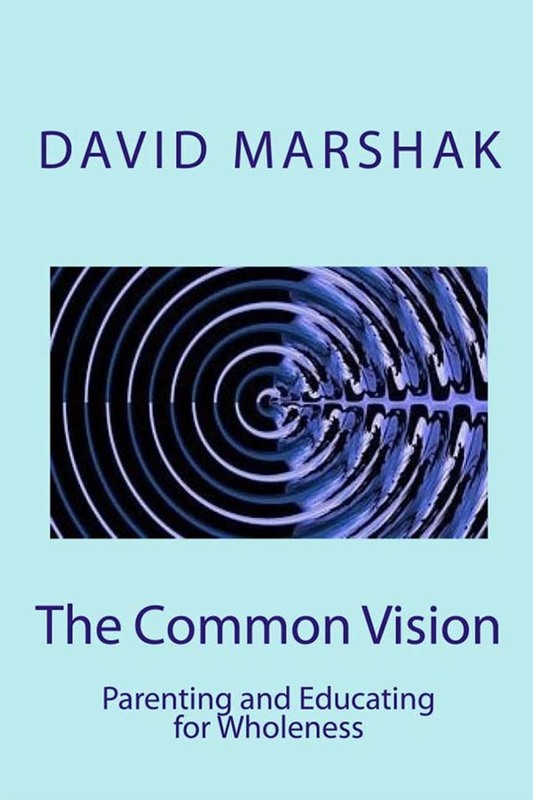 In The Common Vision, David Marshak reminds educators that our task goes beyond the transmission of information and cultural values to our students. Dr. Marshak provides three inspirational examples in which teaching is about modeling, forming meaningful relationships, and providing an environment where each child can unfold and flourish. In the midst of our elaborate process of educational reform, we need to hold onto this profound message. David Marshak’s book is an important and timely contribution to holistic education. David Marshak’s pioneering, highly original study introduces some of this century’s most astute explorers of the human spirit, whose insights pose radical questions about modern understandings of education. This book provides a much needed counterpoint to the reductionistic thinking that influences most educational theory and practice today. This is inspiring and necessary reading for those committed to rethinking an adequate education. Marshak, a professor of education, brings years of research…to this well-documented treatise on the educational vision of three early 20th century spiritual teachers: Rudolf Steiner, Aurobindo Ghose, and Inayat Khan…Marshak’s many on-site observations, from a second-grade Waldorf class to an Aurobindo ashram, are especially illuminating. It’s a book for open-minded parents and educators who truly wish to nurture the spirit of children. I recommend this book to parents and teachers everywhere!